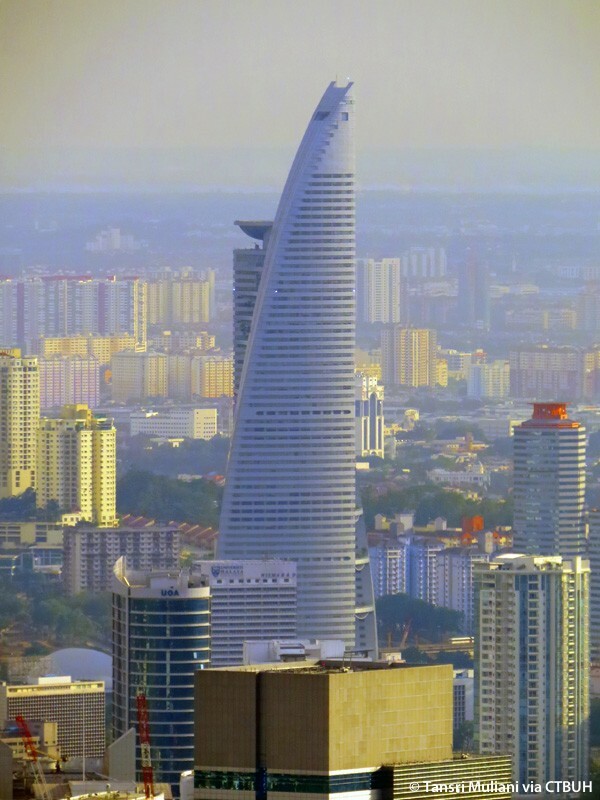 Located on the eastern edge of the Kuala Lumpur city limits, the Menara TM is the tallest building within an outlying cluster of high-rises built alongside a juncture of expressways and rail lines. 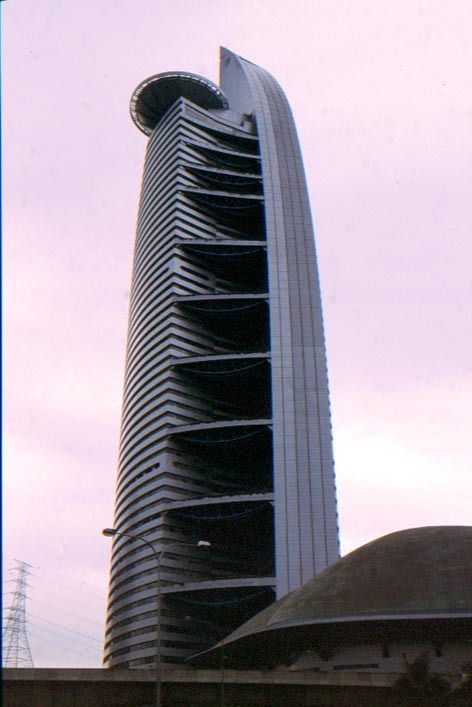 The design was envisioned as a plant springing from the ground to reach light with an unfurling leaf. 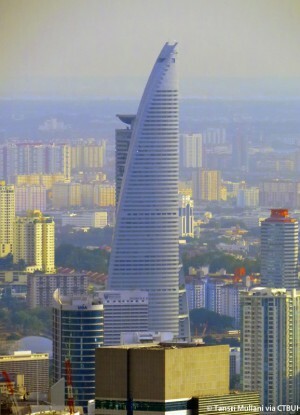 Menara TM is perched upon a long horizontal base spreading across the block and extending 3 stories underground. 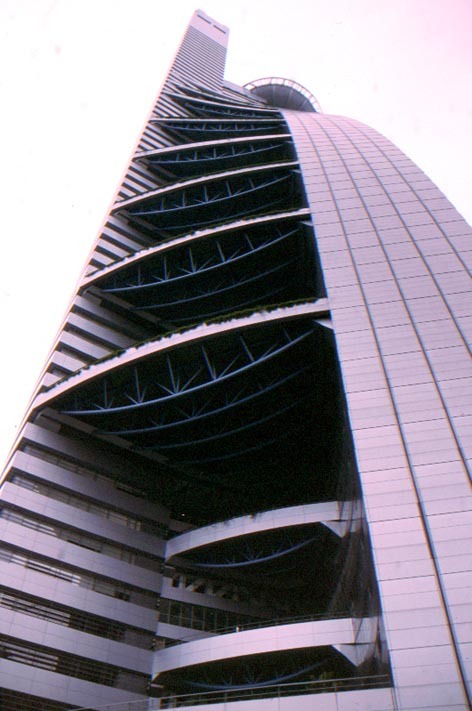 The tower then rises with a central core and two offset office curving office wings. The wings create open courtyards flanking each side of the tower core which support a series of 11 outdoor terraces facing to the southeast and the northwest. As one office wing tops out, a helipad takes over the set back with a large disc shaped cantilever extending outward from the roofline. 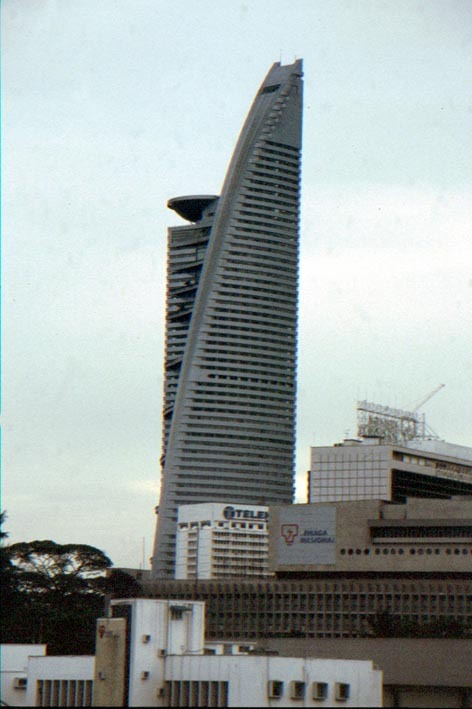 The second office wing then continues upward to not only crown the building with a distinctive shape, but also to support signage for Menara Telekom who commissioned the building to serve as their corporate headquarters.